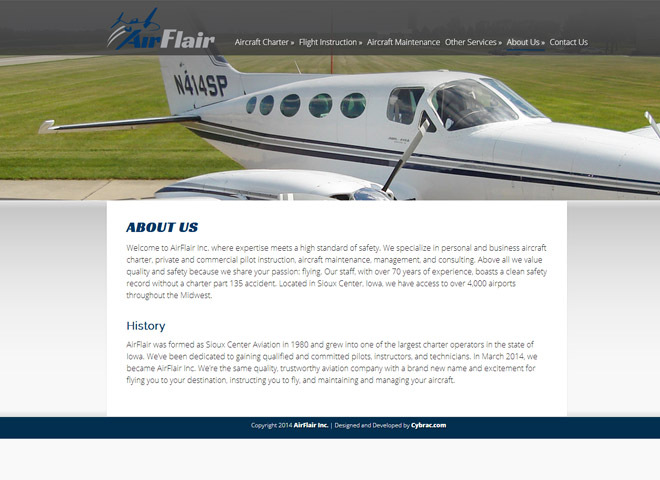 Air Flair aviation center in Sioux Center has been providing exceptional charter flight services. 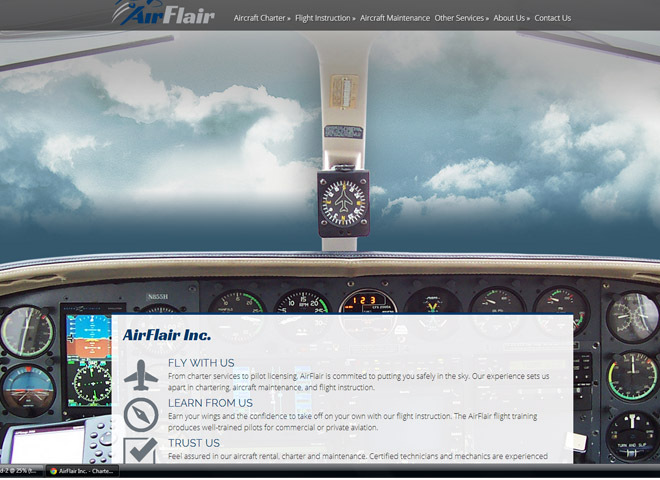 Flying with Air Flair allows your to have the freedom of flying without lines, layovers or baggage claims. 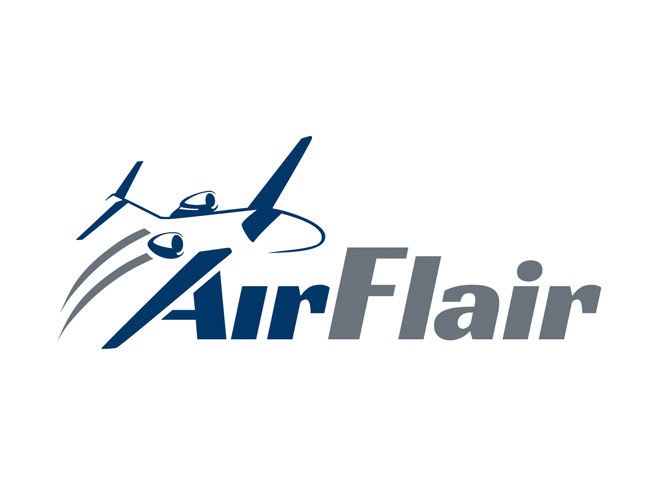 Air Flair is dedicated to your safety, comfort, and convenience, and is able to assist in individual or small group travel. 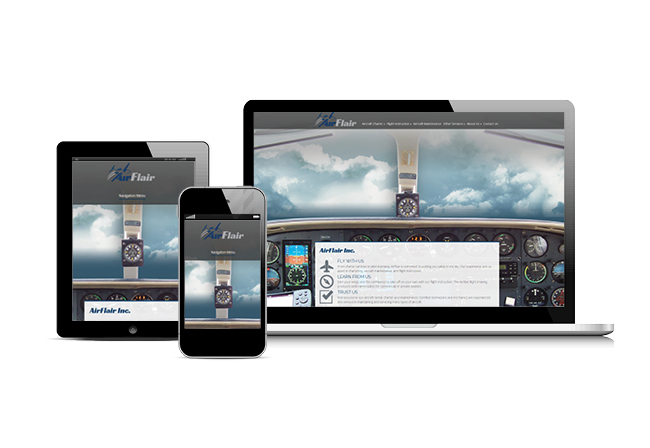 Air Flair came to Cybrac needing to vamp up their website in order to appeal to a more sophisticated and adventurous audience. 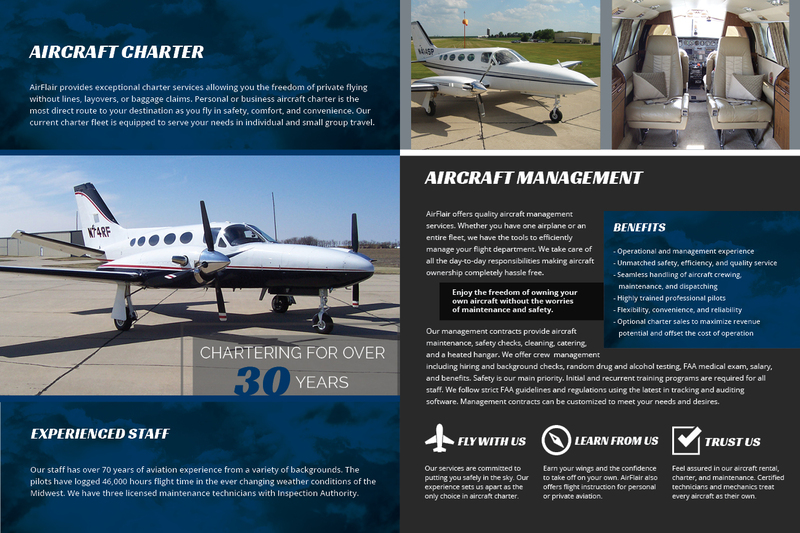 They needed a website and brand that would convey safety, convenience, and professionalism. 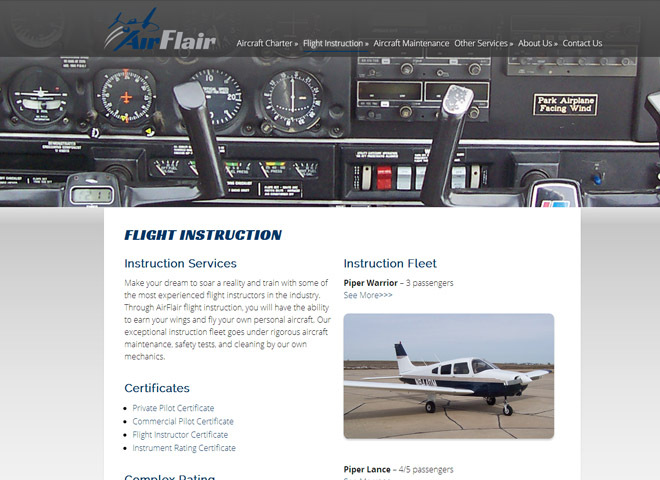 Air Flair wanted to establish themselves as the top dog in Sioux area aviation and they needed a website that would “show off” the flying experience they provide. Cybrac set them up with a website that is clean, easy to navigate, and exciting. The site features large scale (but fast-loading) photos, professional icons and layout all re-sizable and ready for any screen size.